Introduced in 2017 the new LFX Master series is the result of the very succesful LFXHub lighting effect generator. 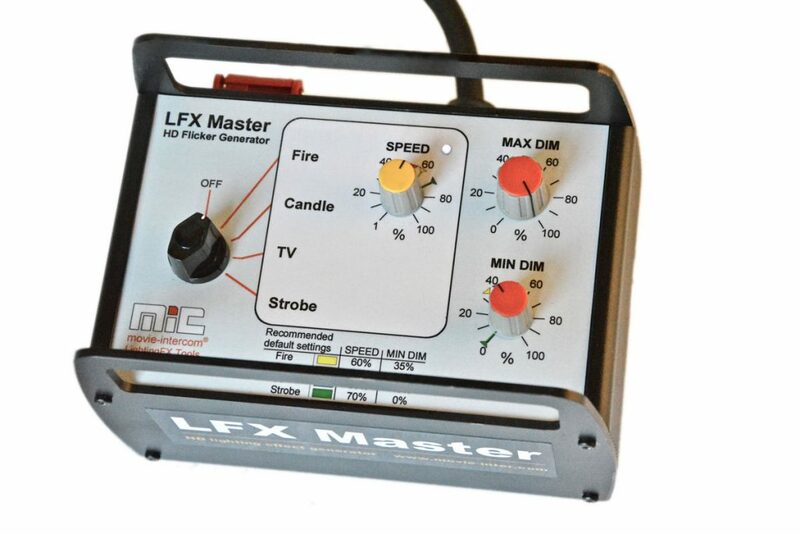 The high-resolution flicker curves are used again in the LFX Master dim and LFX Master DMX. 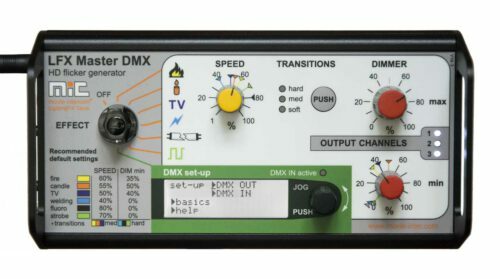 The LFX Master DMX has been designed along with the further development of the LED luminaires for the film sector. The proven high-resolution flicker curves show their natural effect in both new flickerboxes. Our flicker generators are market leaders and offer the highest possible quality of lighting effects.